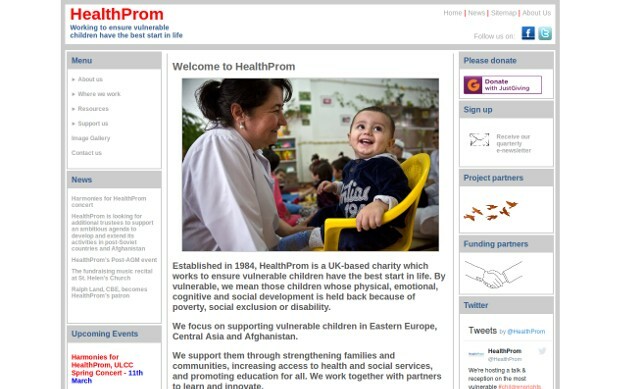 HealthProm are working to reduce maternal, newborn and child mortality. Along with SPANA, they are supporting British inventor Peter Muckle to produce a new saddle made from simple and cheap items such as inflatable camping cushions that will help safely and comfortably transport pregnant women to health centres in remote areas of Afghanistan. It is a UK international development organisation working to ensure vulnerable children get the best start in life. In Russia, Central Asia and Eastern Europe, where approximately two young children every hour are separated from their parents and placed in baby homes, they support the development of community-based services so that parents are more able to keep their child at home and offer them the nurturing environment they need. In Afghanistan, where maternal, infant and child mortality is one of the highest in the world, they train healthcare staff and support parents in remote regions to access emergency transport and life-saving knowledge so that women can give birth safely.